Looking for A Great Replacement for Shunra WAN Emulators? Netropy is the trusted alternative for Shunra. 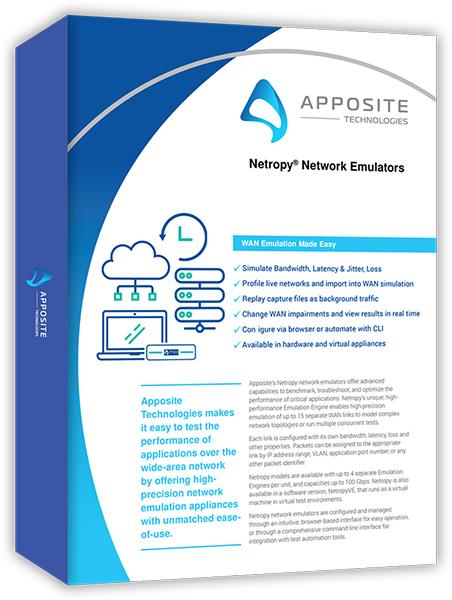 Apposite’s Netropy network emulators deliver all the functionality of Shunra devices, but with more features, faster set up times, and an intuitive interface. Be up and running tests in as few as 15 minutes. 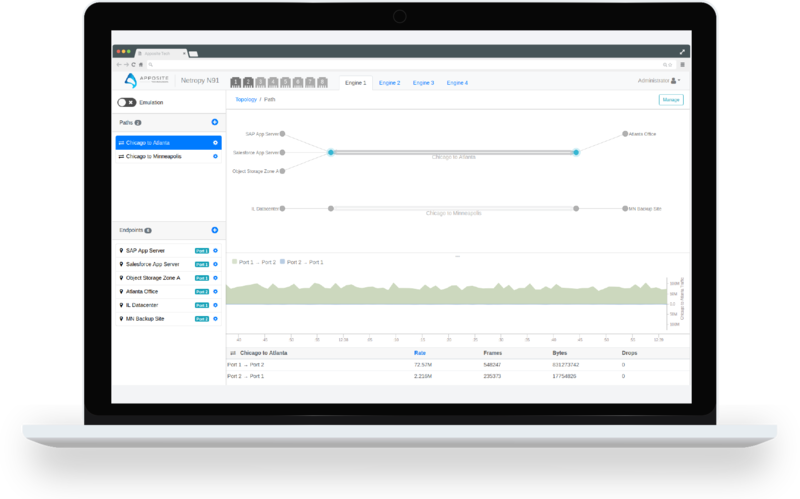 Upgrade to Apposite and more accurately evaluate the effects of network impairments on application performance and data delivery. Apposite offers a wide range of network emulators from low-cost, 100Mbps portable devices to advanced, high-precision emulators that reach speeds up to 100GbE. 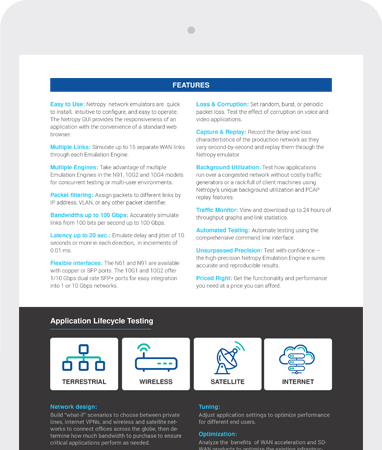 And our new Netropy Virtual Edition is perfect for testing in cloud (AWS, Azure) and virtualized test environments. Learn why over 2,500 of the world’s leading enterprises, service providers, technology vendors, and government agencies rely on apposite to benchmark, troubleshoot, and optimize the performance of their mission-critical networks and applications.